Here at Park Home Life we have a number of residential parks across the country catering for people looking to downsize their properties following retirement and live within a like minded community. One of our parks is Orchard Park in Twigworth, Gloucestershire nestled in a county that is filled with a number of amazing historical sites. If you are looking to live in this area here are some of the local sites that you may want to consider visiting. Nestled in the beautiful town of Tewkesbury, the Abbey has a history dating back to Norman times and is one of the finest examples of architecture during this period that can be found across Europe. As well as having some incredible architecture it also boasts some amazing examples of stained glass windows include some that date back to Victorian Times. Our Twigworth Park is just a short car journey from this delightful town and all of the sites that it has to offer. 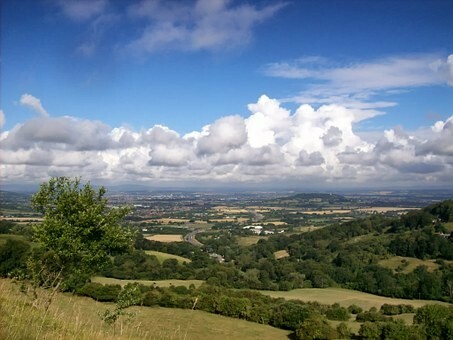 Gloucestershire is a county that has incredible links back to Roman times Gloucester, or Glevum as it was originally known was a large Roman fort. Around the city in some of the rural locations examples of villas and roman dwellings can be seen. Chedworth is one of these examples. It dates back to 2 AD and is a wonderful example of a villa that was once owned by a wealthy farmer and is one of the largest Roman villas in Britain. The site is owned by the National Trust and they have excavated any of the original mosaics which are on display for you to see. The city of Gloucester has many locations that link back to the areas Roman and industrial past as well as examples of Romanesque and Gothic architecture such as the Cathedral. The Cathedral itself is a good example of the city’s vast history with Roman rubble and stones having been used in the construction of some of the columns in the nave. The Cathedral has been used as a location for many films including the incredibly popular Harry Potter series. Just a short walk from the main road from Winchcombe you can find the Neolithic long barrow of Belas Knapp. This was used as a burial chamber for 31 people and consists of a false entrance and side chambers. Since its excavation in 1865 it is now possible to explore this wonderful example of Neolithic construction. The Town Hall is best known for the mixture of performances that take place there each year, but it actually dates back to 1902 when its construction first took place. Inside the building you can see some incredible examples of the architecture of this period and the design works of Frederick William Waller who was the architect. To the left of the entrance hall you can also see the Central spa where people would have regularly taken the spa waters of the town.